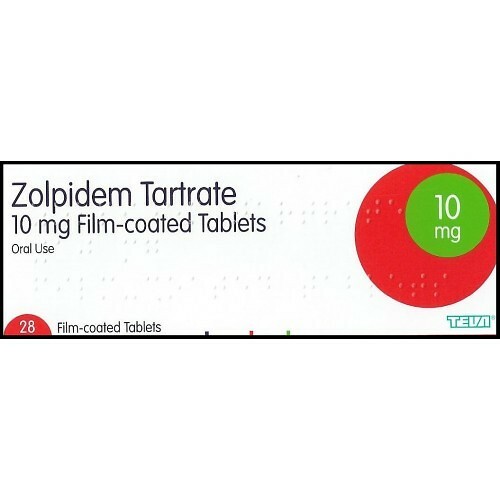 Zolpidem Tartrate or most commonly known as generic Ambien is used for the short term relief of insomnia (sleeplessness) available in 2 strengths - 5 mg and 10 mg pills. It is a non-narcotic medication offering excellent sleep maintenance and has been FDA approved for the treatment of insomnia with an effective time span of 6 to 7 hours..
Ambien can cause adverse reactions for some people rarely. It can include swelling of the face, lips, tongue or throat, difficulty with breathing and hives. It should not be taken during waking hours due to the sedative effect this medication. It should only be taken if there is a full 7 to 8 hours to dedicate to sleeping. With extended use it is possible to cause dependence. If this happens and usage is suddenly ceased, withdrawal symptoms may result. These can include vomiting, stomach cramps, nausea, flushing and increased nervousness. After it is no longer taken, patients may experience trouble sleeping. This is called rebound insomnia and will almost certainly disappear after 1 to 2 nights. Please note that generic Ambien works quickly, therefore, it should be taken by mouth on an empty stomach, just before bedtime. If it is taken with food the effects of the medication will be delayed due to a slower absorbsion rate. The main factors that determine dosage are age and any underlying medical condition. The maximum recommended dose is 10 milligrams before bedtime. However, the dosage may need to be decreased in certain circumstances. Elderly or debilitated patients or patients with hepatic insufficiency may be more sensitive to the effects of the medication. In these cases, an initial dose of 5 milligrams before bedtime is recommended. Generic Ambien is not recommended to be used by people under the age of 18 years.